Travel is not complete without the authentic local food experience, and food markets are a Key part of the Foodie experience, so planning your itinerary with authentic food in mind. The Grand Bazaar i not called grand for nothing, but when it comes to food, Istanbul’s Spice Bazaar is really Grand. 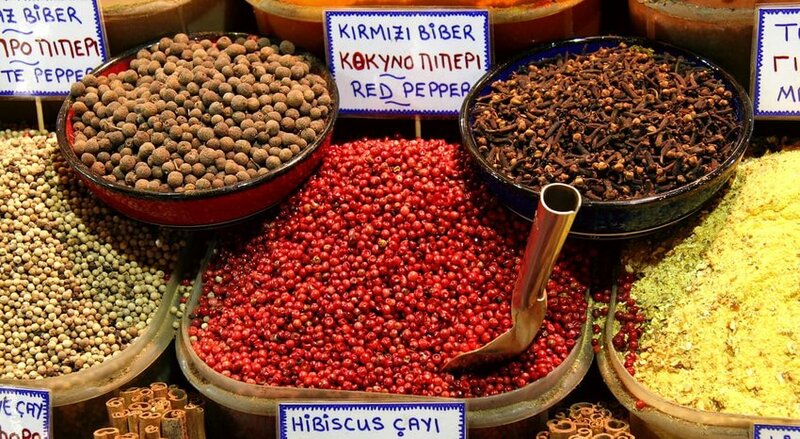 It in the Eminönü district, it has literally heaps of spices, herbs and Turkish Delights, this market a feast for all. This small market in Peru’s 2nd city is not well known, but there is a section of this market that’s a must for any Foodie. 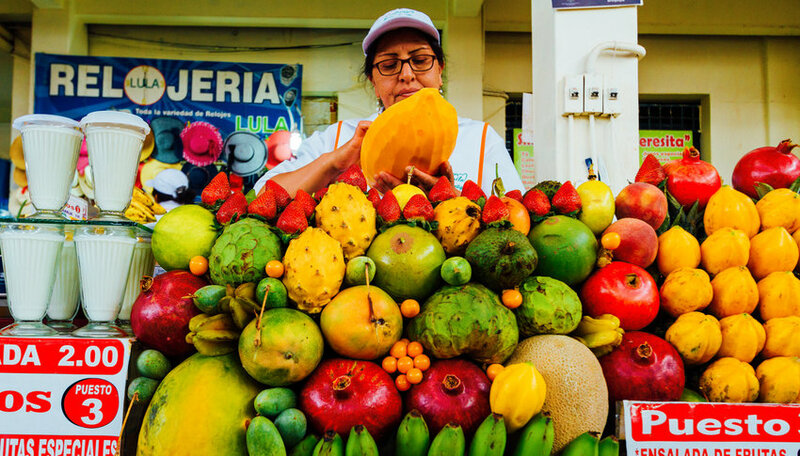 Every kind of produce is represented but those in the know head to its fruit stalls at breakfast time for a fruit smoothie or shake. Also worth trying is lucuma, lucuma native to this part of the world and rare elsewhere, it tastes like butterscotch but is much better for you. Though this market trades all kinds of fish, it’s particularly famous for its early morning Tuna auctions. 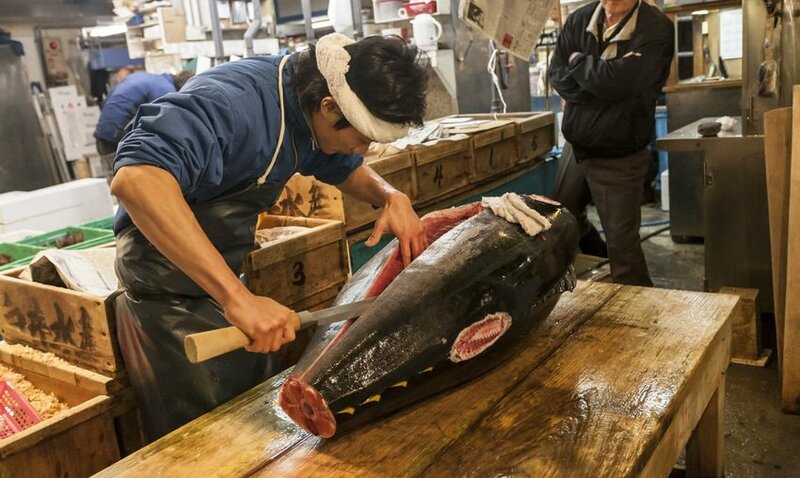 From time to time, the vendors at Tokyo’s largest fish market have become so fed up of tourists watching the proceedings that they ban them, before having a change of heart and welcoming them once again. The market just relocated to the new Toyosu site in the capital’s Koto Ward after 83 years in the same location. Kejetia is not just a food market. It has a mass of stalls, tin-roofed shacks and lots of people shopping. 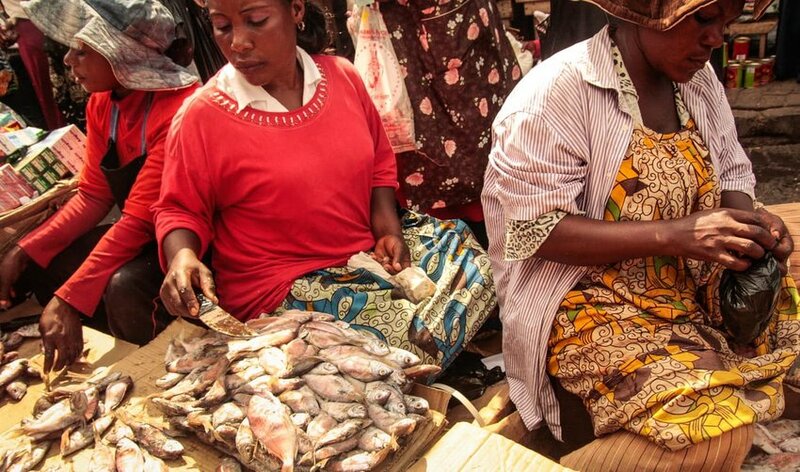 Dominating a whole district of Kumasi, Ghana’s 2nd-largest city, Kejetia’s the largest market in West Africa. It sells everything you can imagine, food included, if you go there consider hiring a guide to show you around. 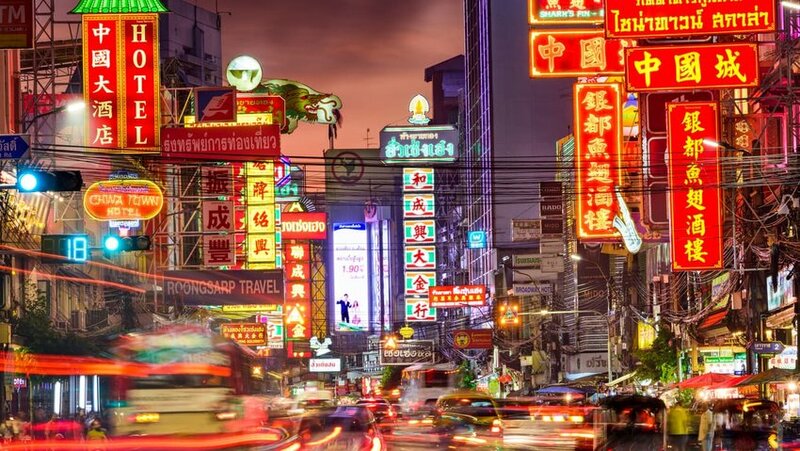 Once the Sun has set, this market buzzes with traders. 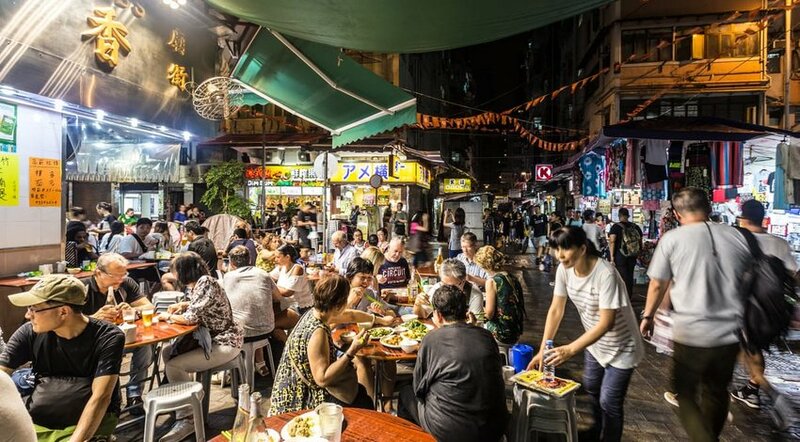 The market and the streets that surround it are also a mecca for street food lovers, who delight in the many stalls serving stir-fried seafood, roast pork, noodles and all manner of other local favorites. 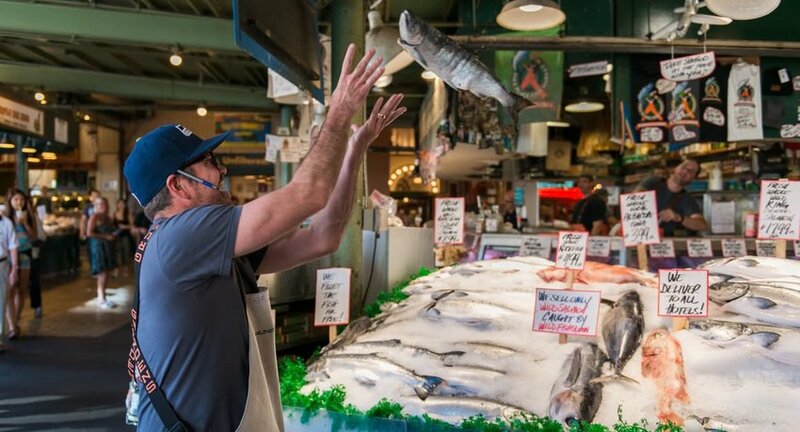 Snack while you shop, have a Hong Kong fortune telling and Cantonese opera too..
Seattle’s most famous market has been open since Y 1907. 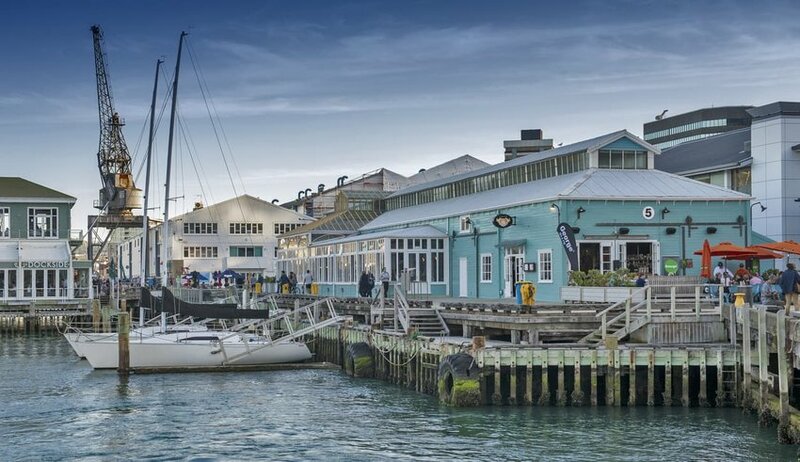 It is the city’s most popular tourist attraction, thanks in part to its “catch a flying fish” party trick which once featured in the hit sitcom Frasier. Look out for a bronze pig named Rachel, the market’s unofficial mascot, and Starbucks at 1912 Pike Place, whose signature green logo has been replaced by the original, once displayed on the 1st branch around the corner at 2000 Western Avenue. 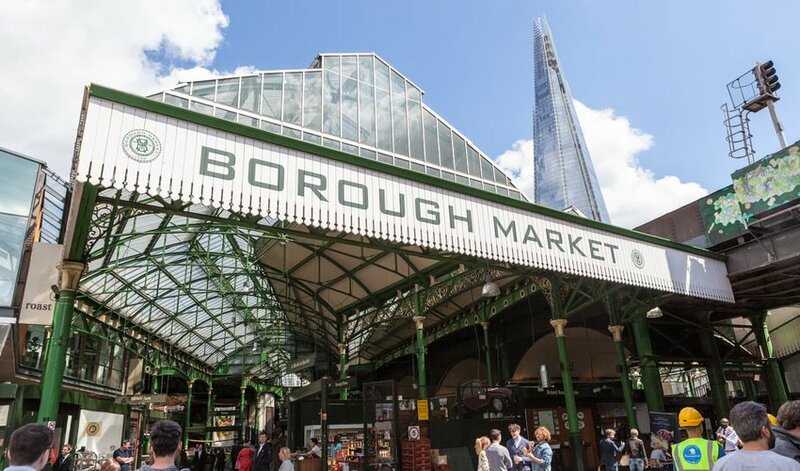 London’s oldest food market is a strong draw for tourists, but its stall-lined passages attract the locals too, as it has visitors during its 1000-year history. Start in Three Crown Square, where you will find a wide range of produce including meat, cheese, fruit and vegetables and fish. Work your way out to the edge and learn why London’s a world-class city with foodstuffs from around the world. When you finished looking, dine in at 1 of the market’s many fine eateries with reputations to rival the city’s top restaurants. Farmers’ markets are a big deal in NZ and Wellington’s offering, on its beautifully renovated waterfront, will not disappoint you. Local artisan suppliers bring a diverse selection of goodies including coffee, cheese, deli produce, fish, fruit and specialty breads to tempt all palates. Make sure you go there on a Sunday as the market’s a weekly event.